This is where you will find more detailed information on our club history. Since the Senior team was established in 2000/2001 the make-up of the team has changed year on year., Follow the links to find out who played for the team in any particular year. From the past squads, you can go to the profiles on some of our past players. We have lots of information on some players and very little for others. 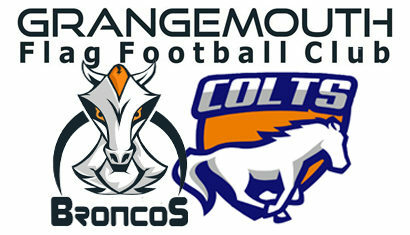 Look on the Past Players page to see a list of everyone that has played for the Broncos and/or Colts. Not all will have a profile page, so if anyone has any details they think can be added, please use the Comments in any of our headline news items. The Hall of Fame is where we celebrate people who have made a significant contribution to the Club. The main criteria for being inducted into the Hall of Fame are that the person has to have given up the role for more than a year. Anyone can be nominated for entry to the Hall of Fame, but the committee have to agree that the contribution has been significant. The categories for entry are currently Player, Coach or Supporter. Year on Year the Club holds an Annual Review and Awards Night. At the Awards Night there are a number of presentations (mostly to players) for achievements throughout the past year.